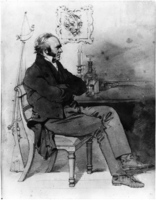 MACTAGGART, JOHN, engineer and author: b. 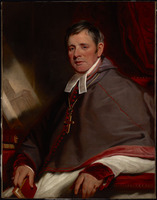 26 June 1791 near Plunton Castle in the parish of Borgue, Kirkcudbrightshire, Scotland; d. 8 Jan. 1830 at Torrs (near Kirkcudbright), Scotland. According to his own account, John Mactaggart, the son of a Galloway farmer and one of 11 children, obtained his early education in “snatches” from tutors hired by his father on behalf of the local farmers and from reading and observing. 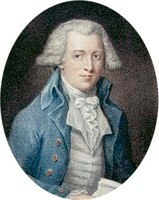 When of an age to travel the four miles to Kirkcudbright, he attended the academy there as farm work allowed and evinced an exceptional aptitude for mathematics. After leaving the academy “with disgust” at the age of 13 and devoting himself to work on the farm, he developed an absorbing interest in the antiquities of his native countryside, recording his observations of social and natural phenomena for future publication. 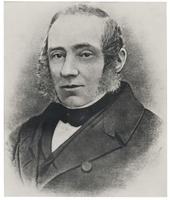 In his 19th year Mactaggart entered the University of Edinburgh, where he attended his “favourite natural classes.” However, he found that he had little further to learn in these subjects and, being uncomfortable with a structured education in any case, did not return for a second session but took to “wandering” through Scotland. Then, in a way as yet unknown, he “learned the engineering.” Such training would normally have involved an indentureship of some kind with a practising civil engineer. 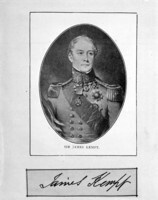 He leaves few clues of this activity in his writings other than an allusion to working on John Rennie’s celebrated Plymouth breakwater and the fact that it was Rennie’s son who recommended him to Lieutenant-Colonel John By* for the post of clerk of works on the Rideau Canal project in 1826. 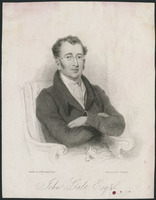 At some time in the 1820s Mactaggart moved to London where he taught “young gentlemen” mathematics and attempted unsuccessfully to establish a weekly newspaper called the London Scotchman, in partnership with two of his fellow-countrymen in the city, the poet Thomas Campbell and Lord Brougham. The year 1824 saw the publication of Mactaggart’s Gallovidian encyclopedia, the fruit of his antiquarian zeal over many years. It was a substantial book comprising, in the author’s words, “sketches of eccentric characters and curious places, with explanations of singular words, terms, and phrases, interspersed with poems, tales, anecdotes &c. and various other strange matters.” It also included a good number of its author’s own poems or, perhaps better, versifyings, and even more of verses current in the oral tradition of the south of Scotland. Unfortunately, one item in the book made what a local laird took to be aspersions on the character of his daughter, a beauty known locally as the “Star of Dungyle,” and the laird brought pressure on Mactaggart to excise the offending passage. The book was withdrawn shortly after it appeared and was not reprinted until 1876, long after Mactaggart’s death. The 1876 edition comprised a mere 250 copies and for long was a prized rarity. A reprint was produced in 1981. On his arrival in Bytown (Ottawa), Upper Canada, in August 1826, Mactaggart was assigned to check the route recommended by Samuel Clowes for conducting the Rideau River into the Ottawa by canal. He then had to make a careful exploration and survey of the tract, eight miles long by four miles wide, embracing this region. The difficulties presented by dense forest, swamps, insects, and unexpected obstructions were prodigious and ultimately could only be overcome with the help of winter. 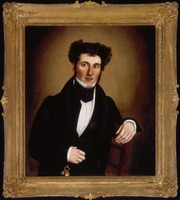 Not long after the completion of these duties, Mactaggart was ordered to finish the survey of the remaining 150 miles of waterway to Kingston, a task he performed in the months of June and July 1827, significantly observing that he “got back to the Ottawa alive.” He revelled in his journeys, satisfying his appetite for social and natural history, and executed many incidental projects such as reporting on the Welland Canal (the design and construction of which he criticized severely), the Burlington Bay Canal, and the plans for a dockyard at Kingston. In the summer of 1827 he met William Dunlop* in “the wilds of Ancaster” as Dunlop was preparing to rendezvous with John Galt* at the site they had selected for the new town of Guelph. 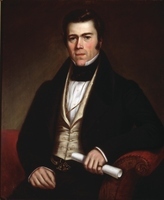 He later joined Dunlop and John Brant [Tekarihogen] in an exploration of the Huron Tract and had much to say of the Canada Company’s activities and policies. Probably Mactaggart’s most critical engineering assignment under By was the construction of a bridge over the Ottawa River at the Chaudière Falls. This bridge, called the Union Bridge because it linked the two Canadas, was completed by the end of 1828. “To build a stone bridge over one of the wildest rapids, and in the depth of a very severe winter” was, in Mactaggart’s opinion, one of the most arduous of his undertakings in Upper Canada. The bridge had eight spans, the largest of which, of 200 feet, spanned the cauldron known as the Big Kettle. Mactaggart was only in part responsible for the design of the bridge; the principal designer appears to have been Robert Drummond. Mactaggart’s remarks on its completion were significantly guarded: “There it stands, and likely will for a length of time.” It was, in fact, a remarkable feat of drystone construction, but it had a short life. A span was washed out in 1836 and the bridge was eventually replaced by a suspension bridge designed by Samuel Keefer*. Soon after his arrival in Bytown, Mactaggart wrote several newspaper articles, one of which, in the Montreal Herald, posed a number of questions relating to the natural history and geography of British North America and to the fate of the explorer Samuel Hearne*. As a result of these articles, the Natural History Society of Montreal, founded shortly thereafter, elected Mactaggart to membership. He had already turned his geological interests to practical advantage by exploring for mineral deposits and by becoming, in late 1826, a founding member of the Hull Mining Company. This company had Philemon Wright* as its president and included among its other officers Alexander James Christie*, Thomas McKay*, John Redpath*, and Robert Drummond. Within a year of his return to England, Mactaggart managed to complete and publish Three years in Canada. It is a remarkable record of social and scientific observations. In this book Mactaggart made it clear that he had no great esteem for the British and American settlers of the country; in an admittedly gloomy mood he suggested, probably half-seriously, that Britain should rid itself of colonists who were “as able a set of grumblers as you can meet with in the world.” He was particularly censorious of the “gentry,” the legal profession, and the “lore Irish.” The latter, who lived in squalid conditions, provided a large proportion of the labouring force on the Rideau Canal. 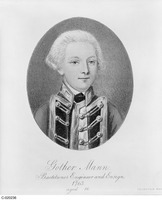 Not unexpectedly he found the “Yankee” population of Upper Canada particularly lacking in warmth and colour, but the vitality and adaptability of the “Canadians” received his highest praise and the indigenous Indians his warm respect. The natural beauties of the Canadas, he thought, were “not to be matched in the world,” and the potential wealth of the country gave a “consequence to Britain not to be sneered at.” His vision of the country and its economic future included a canal system linking the town of Quebec with the Pacific coast. No doubt the effects of Canada’s “swamp fever” hastened Mactaggart’s end. He died on 8 Jan. 1830 and was buried in Sandwick churchyard in his native Galloway. He was 38 years of age, with plans for a collection of voyageur songs, a history of the voyageurs, and a Canadian encyclopedia unfulfilled. He left behind an unfinished poem of more than 5,000 lines called “The engineer,” which is now in the Stewartry Museum in Kirkcudbright. Mactaggart emerges from his written work as an intelligent observer and passionate lover of life, a hard-headed but romantic Scot with all the contradictions these qualities imply. 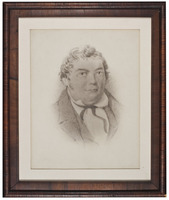 Alexander Trotter describes him in his East Galloway sketches as a “tall handsome man of 6 feet 2 inches, and of stout figure, his proportions being majestic. He was fearless in asserting his opinions, hated duplicity, and his friendships were warm and lasting.” Although he had an eye for a pretty face, he never married. John Mactaggart, The Scottish Gallovidian encyclopedia; or, the original, antiquated, and natural curiosities of the south of Scotland . . . (London, 1824; 2nd ed., 1876); repub. as The Scottish Gallovidian encyclopedia; a new edition with a note on the author, ed. 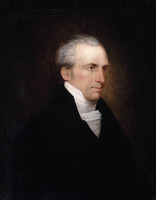 L. L. Ardern (Perthshire, Scot., 1981); Three years in Canada: an account of the actual state of the country in 1826–7–8; comprehending its resources, productions, improvements, and capabilities; and including sketches of the state of society, advice to emigrants, &c. (2v., London, 1829). PAC, RG 5, A1: 45081–100, 45388–89, 45890–91, 50823. Stewartry Museum (Kirkcudbright, Scot. ), John Mactaggart, “The engineer.” Sights and surveys: two diarists on the Rideau, ed. Edwin Welch (Ottawa, 1979). DNB. The bards of Galloway: a collection of poems. songs, ballads, &c., by natives of Galloway, ed. M. M. Harper (Dalbeattie, Scot., 1889). R. [F.] Legget, John By, Lieutenant Colonel, Royal Engineers, 1779–1836: builder of the Rideau Canal; founder of Ottawa (Ottawa, 1982); “The Rideau Canal and some of its builders,” Archaeological historical symposium, October 2–3, 1982, Rideau Ferry, Ontario, ed. F. C. L. Wyght (Lombardy, Ont., n.d.), 127–36; Rideau waterway (Toronto, 1955). R. W. Passfield, Building the Rideau canal: a pictorial history (Toronto, 1982). Alexander Trotter, East Gallowav sketches; or, biographical, historical, and descriptive notices of Kirkcudbrightshire, chiefly in the nineteenth century (Castle Douglas, Scot., 1901). G. S. Emmerson, “MACTAGGART, JOHN,” in Dictionary of Canadian Biography, vol. 6, University of Toronto/Université Laval, 2003–, accessed April 24, 2019, http://www.biographi.ca/en/bio/mactaggart_john_6E.html.